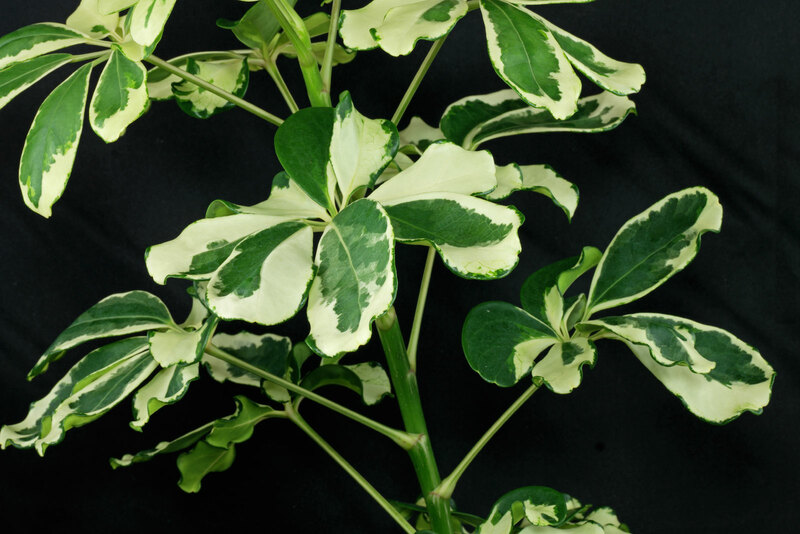 Lighting: The variegated cultivars grow best if placed bright to sunny. 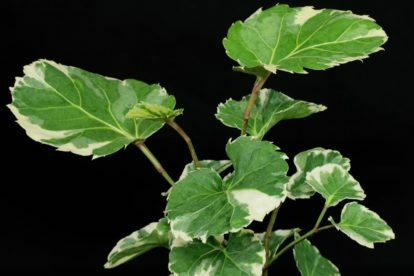 The green leaved forms also do good in light shade. 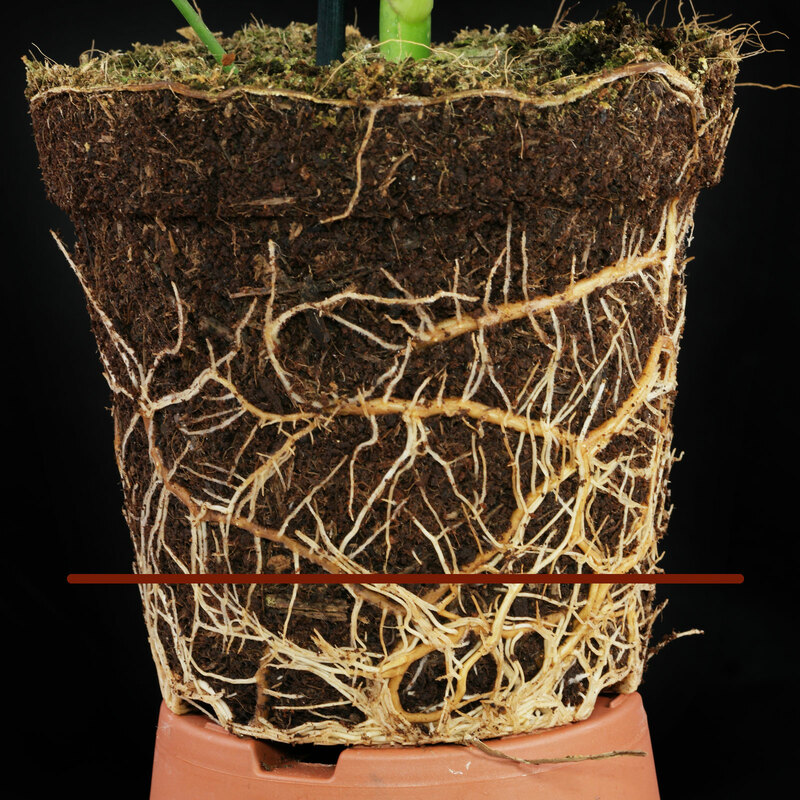 Soil: Regular potting mixes for indoor plants or herbs can be used. I’m using peat free vegetable or herb mixes for most of my container plants. Watering: Let approximately 3/4 of the soil dry out between the waterings. 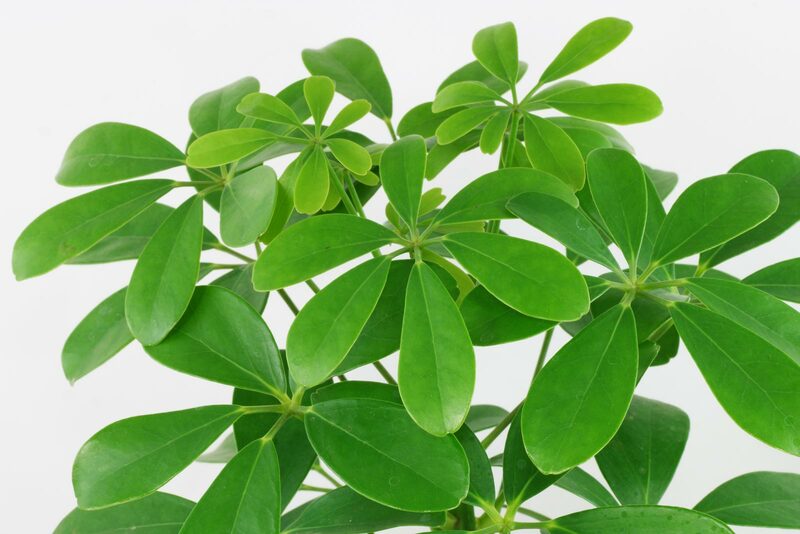 Feeding: If the Dwarf Umbrella Tree is in active growth – from spring to late summer – a standard liquid fertilizer can be given monthly. 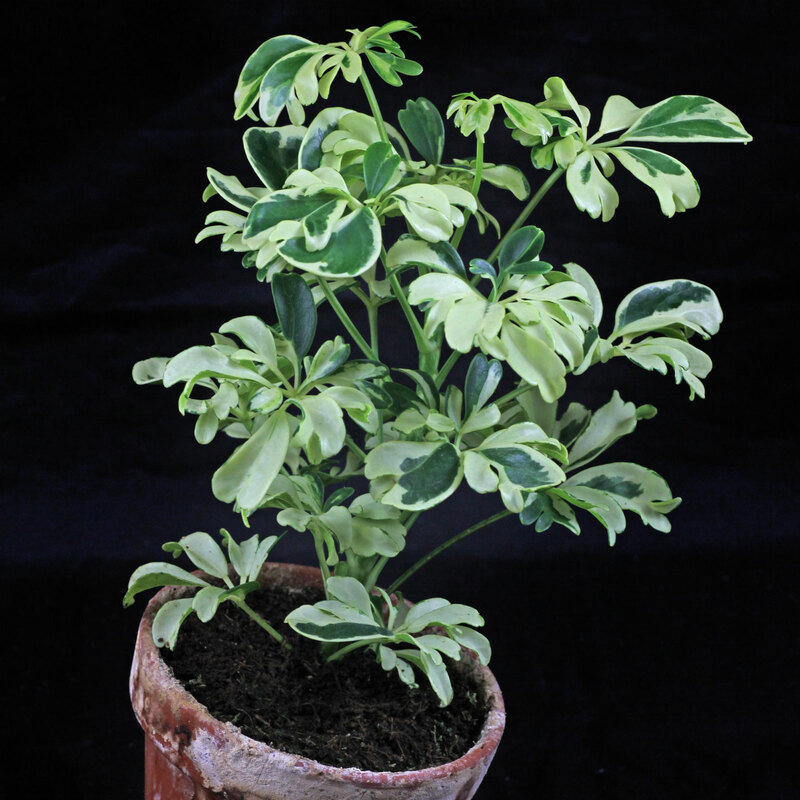 Don’t feed fresh bought or recently repotted plants for the first year. 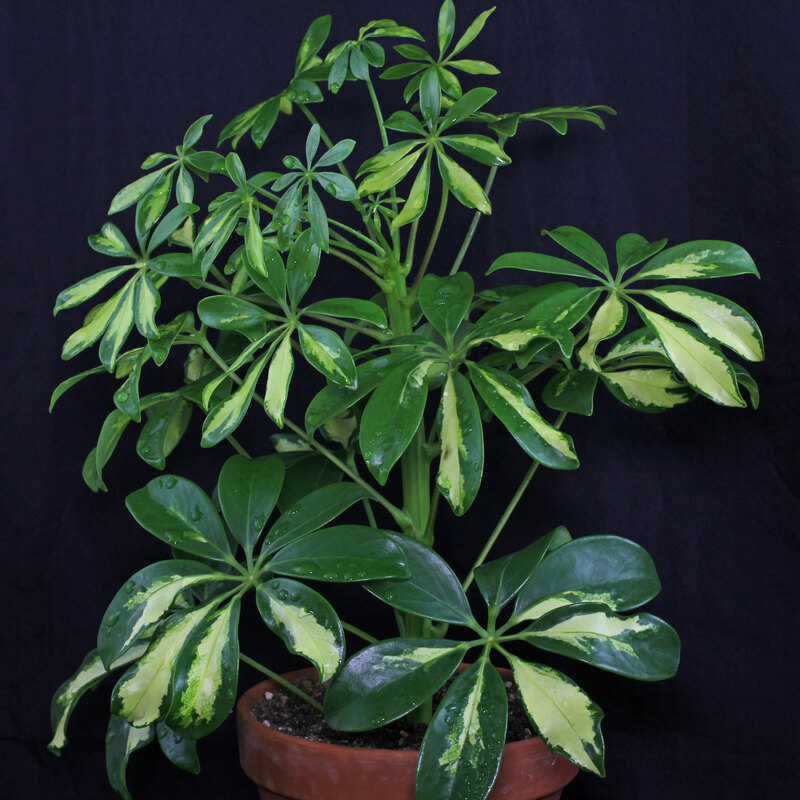 Temperature: Schefflera arboricola likes it warm the year round with a winter minimum of 15 °C/59 °F for the variegated cultivars and 12 °C/53 °F for the green leaved forms. 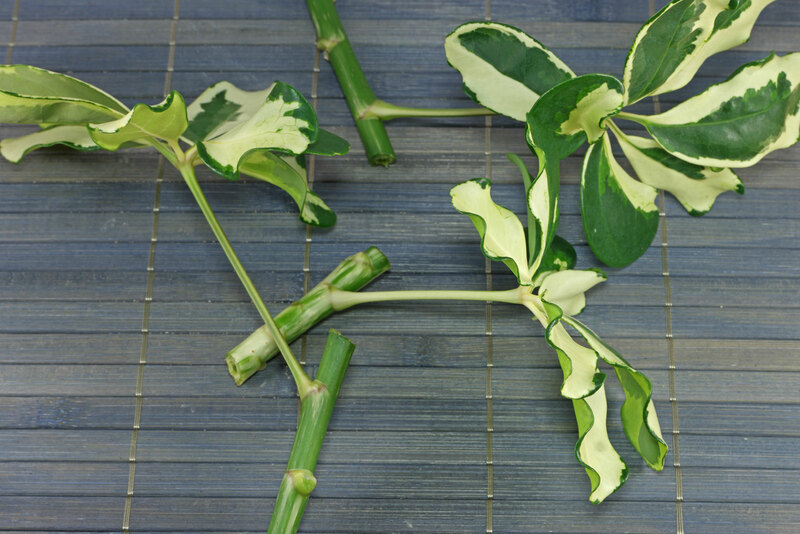 Propagation: Cuttings root after 2 to 4 weeks. 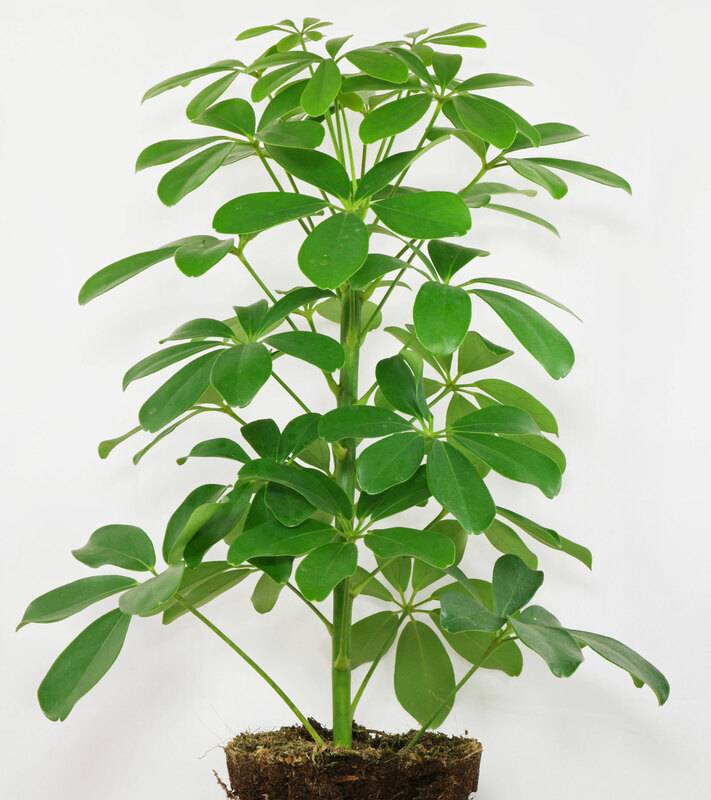 The Dwarf Umbrella Tree (Schefflera arboricola) is native to China and Taiwan. In its natural habitat it can reach up to 4 meters in height.